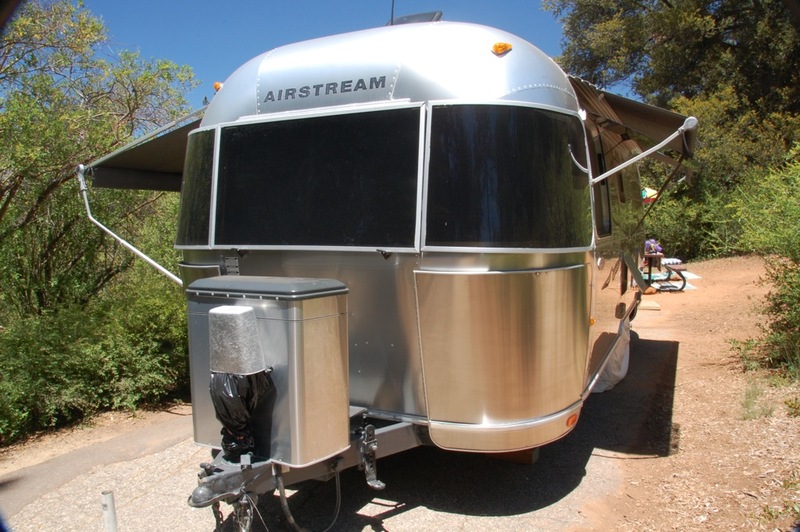 Maintaining the right temperature* (33 to 39 °F) in our Airstream Safari’s 5.0 cu. ft. refrigerator is important to keep food from spoiling or freezing. 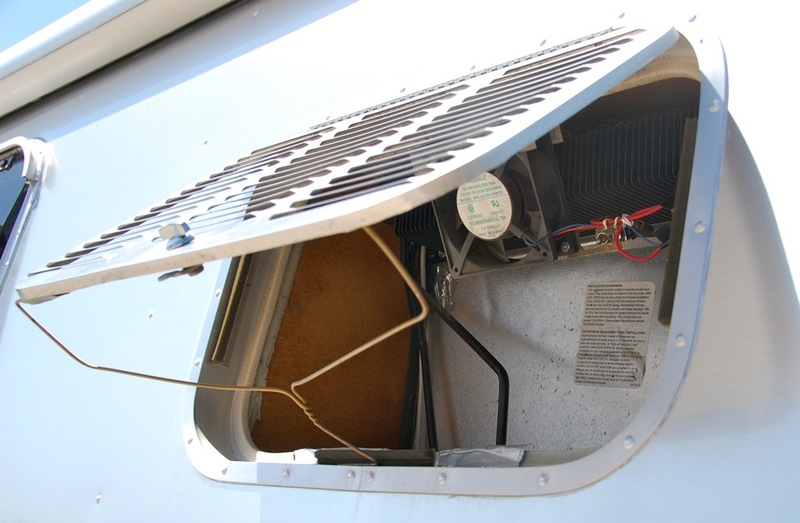 The cooling process of RV absorption refrigerators* is different than compression driven, household refrigerators. 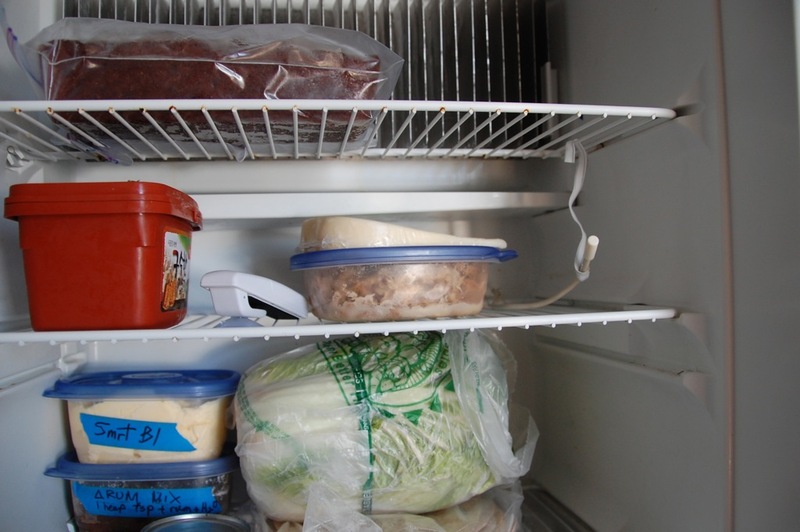 Absorption refrigerators have a relatively low coefficient of performance, which makes it especially important to keep the RV refrigerator in peak operating condition. To properly monitor our refrigerator, we need to know the temperature of the inside of the refrigerator at all times without opening the door, which would result in a temporary loss of cold air and decreased efficiency. Our first refrigerator thermometer in 2007 had a thermistor probe on a wire that connected to a digital display panel mounted on the refrigerator door and served us well for 6 years. 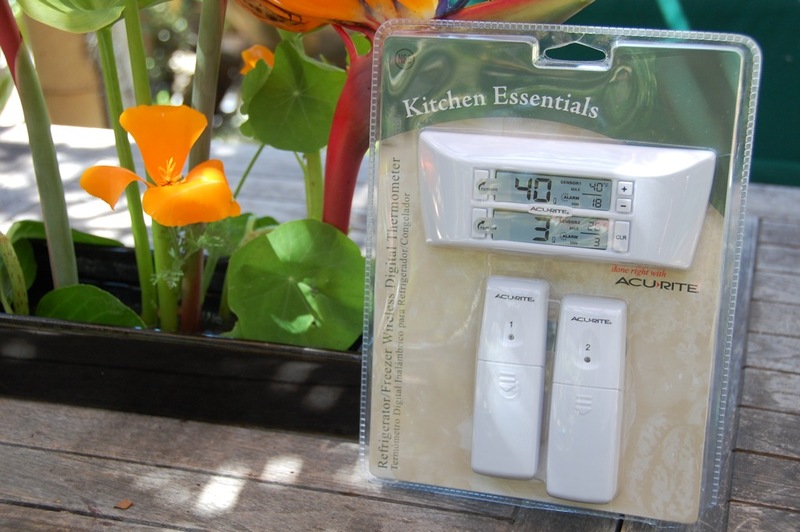 When the thermometer’s probe failed to register temperatures accurately last spring, we did our research and selected the AcuRite Refrigerator/Freezer Wireless Digital Thermometer, #00986. This thermometer comes with a digital LCD display on the main unit (receiver) and two remote sensors, labeled 1 and 2. I chose to use sensor #1 to monitor the refrigerator temperature and sensor #2 to monitor the room or outside air temperature. 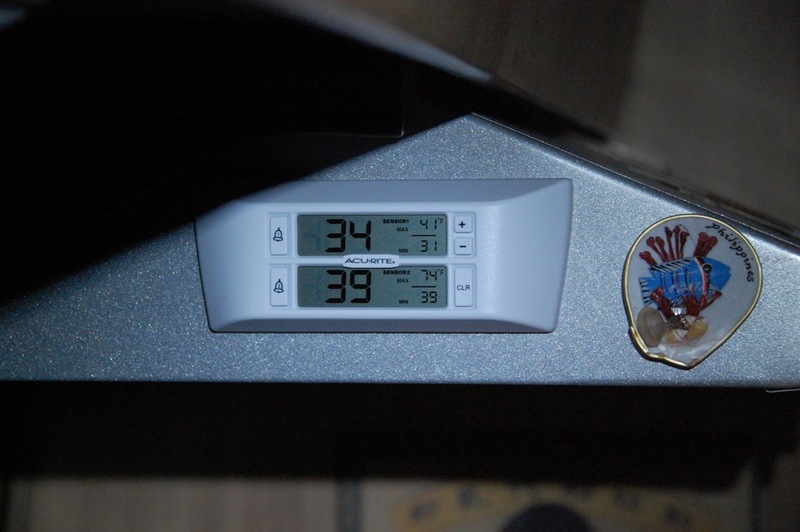 The image below shows the thermometer sensor on the middle shelf and the refrigerator’s thermistor probe on the right side, which I raise or lower to maintain the right temperature as noted above. The main unit has a strong magnet on the back that firmly holds it on the side of our stove exhaust fan/light fixture. The sensors send out a strong signal, and at home, I found that I could bring the main unit and sensor #2 into the house and monitor the house and trailer refrigerators at the same time! The image below shows the temperature readings of the trailer refrigerator (34 °F) and the outside air (39 °F) during an evening last April while camping at William Heise County Park. Although we do not use the alarm feature, we do like the main unit’s display that shows the lowest and highest temperature since it was last cleared. We have found that there are many variables that affect the refrigerator’s temperature, including the size, amount, placement and temperature of food going in. Knowing the highest and lowest temperature since the display was last cleared helps me to position our refrigerator’s thermistor for the optimum temperature range. We have solar panels that work best when we are in a campsite that gets full sun most of the day, which provides additional incentive to find ways to help the refrigerator work better,* such as propping the outside vented doors open with clothes hangers to increase heat dispersal.